Lovely photo you had the chance to capture here! Thanks! It certainly was a beautiful sight. My lil’ boy was beyond thrilled. I saw one double rainbow this year too. I had to wait 41 years to see one 🙂 Nice picture! Double rainbows are a sight to see. Thanks for your comment. Thank you so very much for the comment and the additional information. It is a great reminder to take the time to learn more. 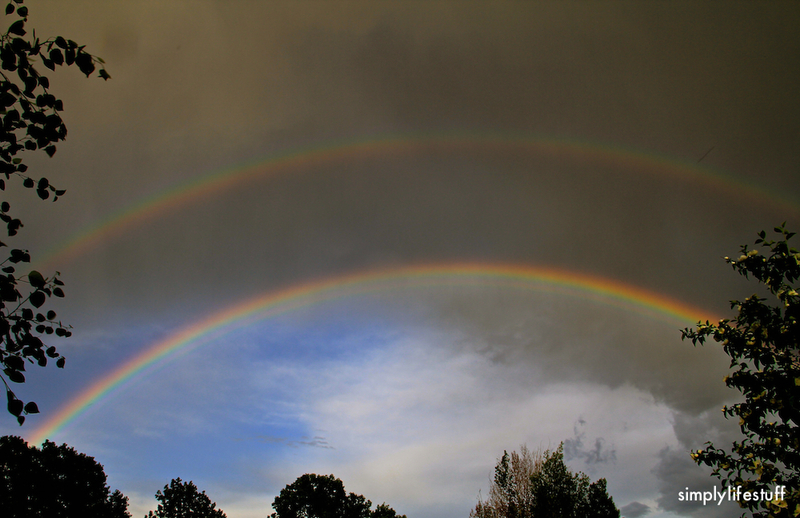 So lucky to see a double rainbow AND to get a decent photo of it, as rainbows are not easy to capture. Wonder if there were 2 pots of gold somewhere around…..